After eight weeks in Uganda and two field visits, I am starting to feel more comfortable and have been able to start thinking more about the place I’m in, instead of feeling like I’m in survival mode just to find my way around. As I’ve mentioned, I’m based in Kampala, the capital city of Uganda, and have been doing some work in a rural area a few hours outside the city, where people are mostly subsistence and small-scale farmers. While Kampala certainly has very poor areas, including many slums and informal settlements, on the whole the city is fairly nice. The infrastructure is good- we have reliable electricity, running water, and decent roads (though there seems to be a national obsession with speed bumps that I cannot understand). 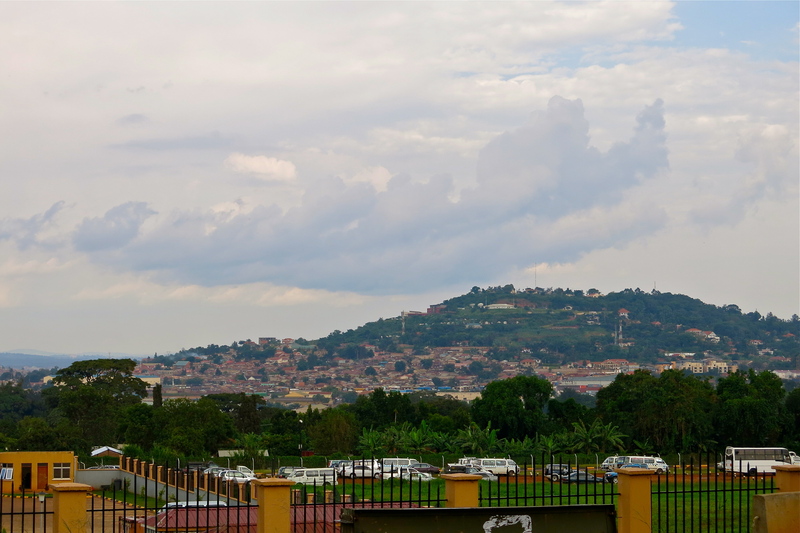 Additionally, Kampala is an expat’s paradise, and just about anything you can imagine is available if you have the money to pay for it. There are gorgeous malls with salons and movie theaters, fancy cafes and restaurants, and supermarkets full of imported foods. While these amenities are far outside the price range (and geographic range) of many of Kampala’s residents, they do exist. The question is what does this mean for Uganda, and for poverty reduction in general? My first impression of Uganda is that it is “less poor” than Nepal, and I know this impression was largely based on the quality of life I found in Kampala. I recognize that there are major differences between my experience in Kathmandu and in Kampala. In Kathmandu, I lived in the slum area in which I worked, and therefore was much more aware of the issues facing Nepalese residents of Kathmandu; in Kampala I live, work and socialize in the upscale areas of the city, where NGO workers and foreigners abound. Nonetheless, the difference between the two cities is striking, and the average quality of life for a resident of Kampala seems much higher than the average quality of life for a resident of Kathmandu. But once you get outside the city, the difference between the two countries becomes remarkably small. The villages I visited in Uganda were very similar to the villages where I worked in Nepal. The houses, fields, schools, cooking sheds, eating utensils, one-stop-shop shacks in the center of a village—everything in rural Uganda looks exactly the same to me as what I saw in rural Nepal. Aside from my shock at the aesthetic similarities between two such different countries, I am frankly shocked to find such similar living conditions in these two very different places. It’s not just the geography and culture and people that are different—the history of foreign involvement in the country (colonial, post-colonial and through foreign aid), the agricultural system, the linkages to market economies, the political situation—everything is so different, yet the daily lives of small-holder farmers in rural Uganda and Nepal seem so similar. 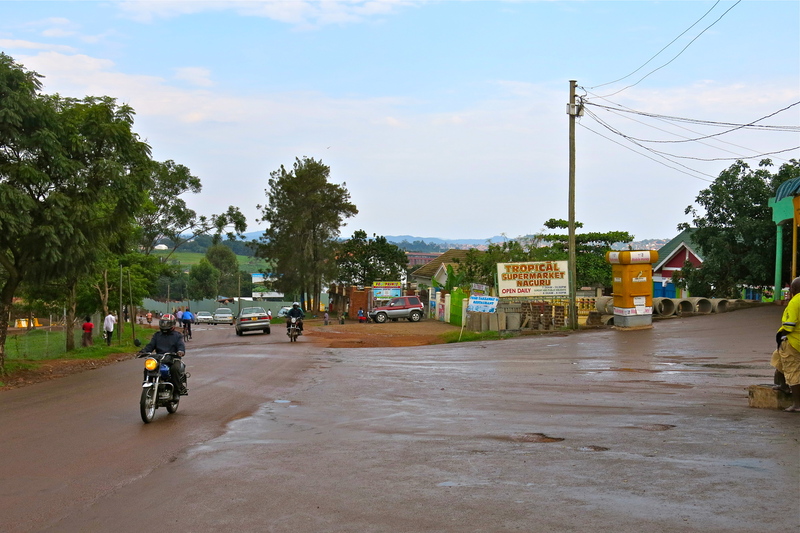 I had figured after arriving in Kampala that Uganda was “more developed” than Nepal, and was quite surprised to find such similarities between the two countries outside their capital cities. So, where is the “development” that I see and live with in Kampala? Does it make a difference for a country if the capital city (or another big city) has a higher standard of living? In some ways, I expect a “trickle-down effect” from the development in Kampala. If the country has been able to raise living standards and establish such a high degree of order in the capital, then I take it as an indication that they have the capacity to do so around the country. There’s some development logic to this argument: we talk about the need for stronger markets, better market linkages and more efficient infrastructure in order to bring “development” to a country. Governance is often a major issue in implementing, scaling and managing these types of infrastructure projects. So to see a country with strong markets and infrastructure in the capital city should be very encouraging for the development of the rest of the country. It was with this assumption that I felt shocked to find such similar ways of life in rural Nepal and Uganda. Kampala seemed to have the very things I thought were necessary for strong economic development, yet there was no evidence that this type of growth was reaching beyond the capital. It certainly seems to me that a lot of this growth is driven and sustained by the NGO and expat communities in Kampala, not by the government of Uganda. NGOs are certainly doing excellent work in the country (I’m interning for one, I clearly believe in the cause), and I am not opposed to NGO workers being able to live comfortably in the country where they are posted. But I do have to wonder about the scope and scale of good that is being done with so much money. I’m not sure that the situation would be any better if NGOs were to fund the government of Uganda to run projects themselves, so unfortunately this post is something of a rant without a suggestion. But I do know that is seems unfair that people who have money are able to create a comfortable life for themselves in Kampala while essentially leaving the rest of the country behind. In Nepal, poverty was everywhere, and though I wrote about the difference between what poverty looks like in Kathmandu and in the rest of the country, the reality was that it was always clear to me that Nepal was a poor country. In Uganda, the differences are actually more striking, and feel more unfair. Maybe there really are differences between the two countries that I don’t notice (certainly possible), and maybe they are on different trajectories because of the differences between the capital cities, and if I were to return in 10 or 20 years, I would notice a major difference between rural Uganda and rural Nepal. As usual, I don’t have an answer, just a question I want to continue to ask as I become a development practitioner.